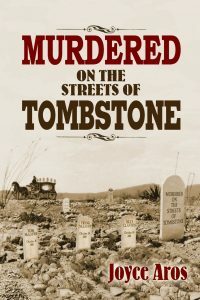 Murdered on the Streets of Tombstone, Joyce Aros, Goose Flats Publishing, (520) 457-3884, $26.99, Paper. 340 pages, Author’s Notes, Photos, Illustrations, Bibliography, Index. So along comes Hollywood to tell about a huge band of outlaws and cattle rustlers known as “The Cowboys” who are terrorizing Cochise County. But not to worry, in order to rid the Territory of these villainous, snaggle-toothed ruffians, the illustrious Earp boys arrive from Kansas to settle their hash. And settle it they did! On a cold and windy day in late October, 1881, things came to a head and when the smoke cleared, brothers Frank and Tom McLaury, and their young pal Billy Clanton lay dead in the street behind the O.K. Corral. One hundred and thirty years later, why are we still worrying about it? Everybody knows (Burt Lancaster, Kirk Douglas, Hugh O’Brien, and Rhonda Fleming told us) the Earps were the good-guy heroes, and the three dead cowboys had it coming. But Wait! Not so fast! 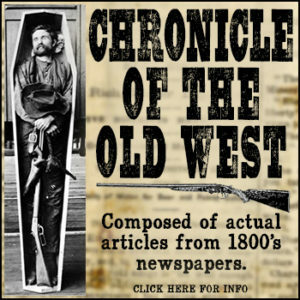 There is a lot more to the story, and Tombstone writer-researcher Joyce Aros gives us the benefit of her sleuthing. She has tediously combed through courtroom testimony, oral history on file at the Arizona Historical Society, books, letters, interviews plus a good dose of horse sense to draw her conclusions. Aros begins her book explaining the circumstances of life in the new Territory, and how the Clantons and the McLaurys fit into all this. Aros allows the reader to become familiar with these men by putting faces on them. They were living, breathing human beings who had struggles, hopes and dreams in a new land where hardworking, determined men built their ranches. The fateful day they came to town, Tom and Frank McLaury had business to finish before heading to Iowa to attend their sister’s wedding. 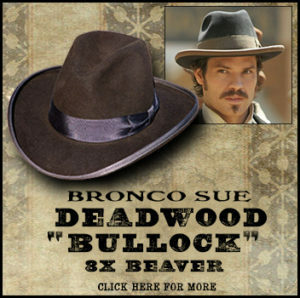 Meeting with them was their friend Billy Clanton, a nineteen-year-old rancher who was on business of his own that day. Aros is able to show the Earps were prepared to fight, but the young ranchers were not. Tom McLaury was not even carrying a gun, Frank McLaury was leading his horse, (who takes a horse to a gunfight?) and when confronted by the gun-wielding Earps, Billy Clanton shouted “I don’t want to fight!” Even so, guns blazed and in less than thirty seconds three men were dead. Tom, Frank and Billy were not outlaws. 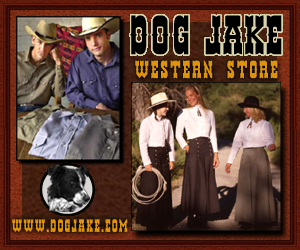 They came to a sad and thunderous end behind a dusty corral on the streets of Tombstone, Arizona where they have been vilified for more than 130 years. When you turn the last page of this book, the Earps might still be your heroes, but certainly Tom, Frank and Billy will become real people whose lives were taken far too soon. We still do not know for sure what triggered the deadly hatred the Earps had for these three young ranchers. However, through this detailed examination in Murdered on the Streets of Tombstone, Joyce Aros has done an incredible job of finally declaring balance to a tragedy that has gone unchallenged far too long. You can decide for yourself by grabbing the book HERE. 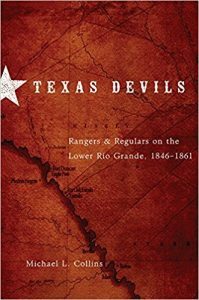 Texas Devils: Rangers and Regulars on the Lower Rio Grande, 1846-1861, by Michael L. Collins, University of Oklahoma Press, (405) 325-3200, $19.95, Paper. Photographs, Notes to the Chapters, Bibliography, Index. This book is a carefully researched account of the turbulent times along the Lower Rio Grande in Texas from 1846-1861. The author delves into these fifteen years filled with conflict between Anglo ranchers, homesteaders and businessmen at odds with the Hispanic people after the Mexican War. New International boundaries pointed to trouble when people lost their old homelands and the Republic of Texas established a new government as well as new political rules. The author creates a page-turner that reads in places like an exciting novel. With measured cadence and vivid word descriptions, the warring factions are brought to life. He explains how the Rangers were hired to defend the homeland, protect the new border and keep the peace. Understandably, the Mexican people were mostly filled with resentment toward these armed posses riding across their old homeland. Known by the Mexicans as Ids diablos Tejanos, or Texas Devils, these men patrolled the countryside often clashing with Mexican bandits and roving Comanches. Here are details regarding the various battles, what happened, who lived and who died. Often young Rangers were brutally murdered, their hacked remains left rolling in the sun. In retaliation, the Rangers were known to exact their own brand of vengeance, and sometimes committed atrocities with equal savagery upon those they fought against. The book aims to tell the Ranger story with fairness, dispelling some of the romanticized myths surrounding the early Ranger companies. Important leaders of the Ranger units are given biographical coverage as to their places in history. Some had political ambitions; some were mercenaries interested in land and plunder. Still others, like Major Samuel Heintzelman and Col. Robert E. Lee were military gentlemen performing their duties in Texas with dignity, and who were destined to fight in terrible battlefields back east. A clear and sentimental portrait is drawn here regarding Robert E. Lee who left his beloved Virginia plantation (now Arlington National Cemetery) in service to his country. He knew the winds of war would call him home to face heart wrenching decisions that would linger to the end of his days. Too, this Ranger story includes the well known Juan Cortina known on the border as the “Red Robber.” The son of wealthy Mexicans who owned vast ranch lands, he became a champion for the Mexican cause after his mother lost most of their land to gringo lawyers and speculators after the Mexican War. Filled with bitterness and revenge, he led his Mexican followers against the Texas Rangers. Somewhat of a Robin Hood, he became an illusive adversary much loved by the Mexican people. The author points out that injustice on both sides of the border conflict were experienced by many people. In 1860 Civil War broke out in the United States, and Texas went with the Confederacy. So much turmoil ensued due to that cause, the fighting on the Texas border settled down since there was a much larger conflict to deal with. Meanwhile, old myths and fables die hard because we all need our heroes. However, still to this day Anglos and Hispanics on the Lower Rio Grande have their reasons to mistrust one another. Even after 150 years, there is still much work to be done. Western history readers will reflect on what is written here long after turning the last page. You can grab Michael’s book HERE. This book is a very carefully researched, well-written documentary about the men who volunteered to “go west” during the Civil War to fight Indians on the northern plains. They marched on foot (horses were scarce due to the war back east) to Wyoming where they built forts, protected telegraph lines, lived in remote outposts where they were sometimes deprived of proper shelter, food and clothing. 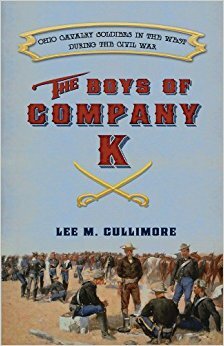 The Eleventh Ohio Volunteer Cavalry, Company K is fascinating reading for anyone interested in the Plains Indians and their last days in relation to America’s Westward expansion. Important skirmishes, battles and fights are chronicled here sometimes by the men themselves who wrote letters home to family members, or to their local newspapers. The soldiers suffered greatly, sometimes putting up with commanding officers who did not always have their welfare in mind. Food and supply shortages hindered camp life as did some horses who were little more than rugged Indian ponies bolting and bucking, offering more danger during emergencies than the Indians did. Some letters included stories about Jim Bridger, a mountain man known for spinning wild yarns that entertained the troops. 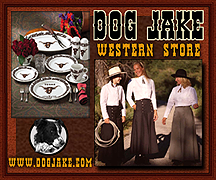 The book is divided into sections beginning with “The Long Road to Laramie,” then comes “Life at the Fort”, which tells about such things as teamsters quarters, sutlers store, horse corrals and graveyard. Information covers daily drills, horse grooming, inspection and maneuvers, pulling guard duty or cutting wood. Laundresses on “Soapsuds Row” charged one dollar per month which was taken immediately out of soldiers pay. Terrible weather conditions included blizzards and sub-zero temperatures. More than one soldier froze to death when caught overnight on the plains. The term “firewater” came from the buyer tossing a splash of whiskey into a fire to see if it flared up. If not, that meant the whiskey had been watered down. By July 1862 Indian attacks along the Oregon Trail forced the migration of travelers to stop for a while to allow time for soldiers to ride to the rescue. The government was worried that Indians could stop communication between East and West. Stage holdups, cut telegraph lines, and attacks on freighters kept the soldiers riding day and night. For three years the men battled hot dry summers, cold winters, hail storms, sudden drops in temperature, unrelenting thunder storms, lice, poor rations, barren living quarters and always Indians. Readers get a glimpse of a soldier’s life on the lonely prairie where death could come at any moment. The book tells of some chiefs who came to the fort with their followers seeking peace, food and a chance to voice their opinions concerning white people who had invaded their land and driven away buffalo and deer previously found in abundance. The boys were glad when the 1866 they were told they were finally going home to Ohio. This time they rode their horses on the trip. Some friends were left in graveyards, killed by Indians, disease, and even suicide. This book covers an important chapter in our Old West history that has been overshadowed by the eastern fighting during the Civil War time period. This chronicle is a must read for anybody interested in the Plains Indians Wars during the 1860s. You can grab it HERE. Lost Mines and Buried Treasures. 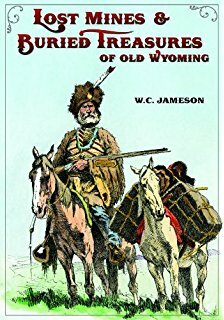 This dandy little book is fun to read, easy to understand, and is chock full of ideas about hunting for lost treasure in Wyoming. The author, W.C. Jameson has long been interested in searching for hidden loot, and when still a boy, helped cart gold bars out of the Guadalupe Mountains in Old Mexico. Thus gold fever hit him hard. Now Jameson writes books, conducts writer’s workshops, plays a guitar and sings his Western songs all across the United States. I myself met Jameson in El Paso, Texas some years ago when he was the president of Western Writers of America. Cordial, witty, and easy to like, wearing a beard and long Wyatt Earp coat, he helped aspiring writers find publication. He was even instrumental in having the SPUR awards televised that year at the Camino Real on the Mexican border. Inside this latest book readers will find 16 stories about lost treasure and how it came to be. 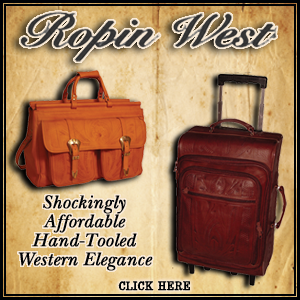 Some have to do with stagecoach robberies, holdups and bank shoot-outs that went wrong. Others tell of gold nuggets glistening under the water of cold mountain streams. Sometimes robbers hid the loot, only to be gunned down by local posses before they could tell the location of buried strong boxes. Other individuals panned gold from creeks only to be murdered by Indians. Some men found the gold all right, but were unable to carry it out of the hills and when they returned later with help, they became disoriented and never could pinpoint the location of the stash. The idea of sinking a shovel into the earth, hitting a strongbox, and pulling up a million dollar bonanza is a fantasy to many of us, but some brave souls really do strike out with maps and shovels to try their luck. Here you will find the Lost Cabin Gold Mine where rich men lost their lives to marauding Indians and the Snake River Pothole Gold where glistening nuggets lured men to their deaths. The Birdseye Stage Station Gold heist resulted in $30,000 in gold coins buried somewhere near the robbery site. But who can find it now? Indian raids, lost jade deposits, shoot-outs and the usual double-cross when gold is involved fill these pages. Jameson makes the stories sound believable since he gives directions and information gleaned from original sources. My particular favorite is the buried treasure of Nate Champion, whom I have always considered one of the heroes of the Johnson County Range War. Nate Champion single-handedly held off a passel of hired Texas gunmen. Alone inside his cabin, Champion kept a diary of what happened throughout that long day so those who found his body would know what happened there. According to the Jameson account, Nate had a stash of gold buried outside the cabin his killers never found. There is the story of Big Nose George Parrot who was not only the ugliest man alive, but a killer and gun-slinging outlaw reported to have buried $150,000 in stolen loot. Of course George died with his lips sealed and his neck stretched by vigilantes. The desecration of his body parts by the local doctor gets even worse as Parrot’s tanned hide became a pair of shoes, and the top of his skull an ashtray. To this day folks still hunt in vain for poor Parrot’s buried treasure. I suspect the sale of this book will provide more loot than might be found buried beside a burned-out cabin, but readers will have a grand time exploring these tales and who knows? You might be the lucky one. Jameson’s stories are always fun. 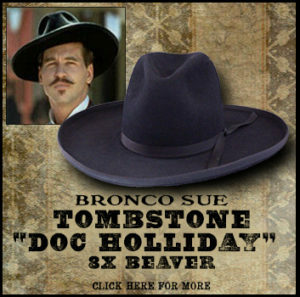 Sometimes his topics are controversial, like who is really buried in Billy the Kid’s grave. You will have a good time reading his stories, but remember Jameson might just be pulling your leg. You can join in on the fun and grab this book HERE. Editor’s Note: The Reviewer, Phyllis Morreale-de la Garza is the author of many published books about the Old West. 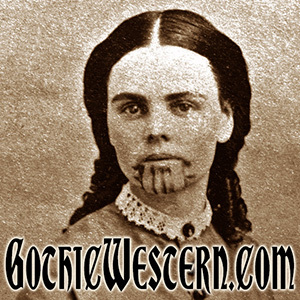 Her most recent is a novel titled Hell Horse Winter of the Apache Kid published by Silk Label Books, P.O. Box 700, Unionville, New York 10988 Www. silklabelbooks.com. The Many Loves of Buffalo Bill. This book is a short introduction to the personal life of “Buffalo Bill” Cody who was born William F. Cody, in 1846 in Scott County, Iowa. He had a brother and three sisters who adored him, plus a worried mother who wanted the best for her son. William’s father died when the boy was ten years old, and William became the “little man” of the family at an early age. During his early years he worked as a freighter, buffalo hunter, army scout, Indian fighter, and daredevil rider for the Pony Express. 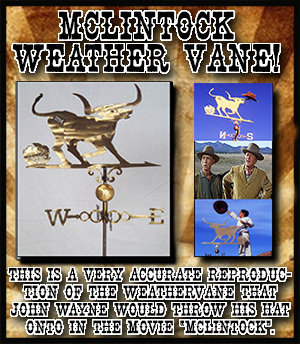 Tall and handsome, William cut a dashing figure with his long blonde hair and buckskin jackets. He deftly handled wagons and horses, and was a crack shot. From the very beginning of his working days, he was determined to take care of his mother and sisters, and accepted many dangerous jobs if the pay was good. When still in his early twenties, he noticed Margaret Louisa Frederici’s good looks and superb horsemanship. Louisa was the daughter of a hard working farm family, who had been educated by Catholic nuns in a convent in St. Louis. The girl won the heart of William Cody, but a rocky personal road was ahead for both people. They married on March 6, 1866. Louisa had fallen madly in love with the dashing William Cody, but she eventually learned to despise him because of his philandering. She wanted William to find a steady job close to home, but that was not to his liking. Always a good provider, off Cody went into one adventure after another while his wife kept the home fires burning. The couple had several children; two died at an early age. Staying at home, making many of her husband’s elaborate costumes, Louisa raised the children, took care of their ranch in Nebraska and stashed money William sent to her in properties she put into her own name. 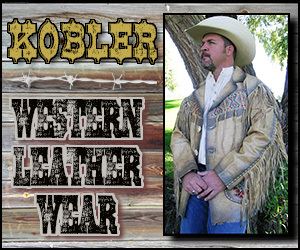 “Buffalo Bill” had a dream about putting together a “Wild West” show, and that is exactly what he did. Year after year, he traveled to cities throughout the United States and even Europe. He employed hundreds of cowboys, cowgirls, sharpshooters, trick riders, stagecoach drivers, wild Indians and herds of horses and buffalo to fill his acts. While William traveled constantly, he naturally attracted the attention of numerous women who fell for the dashing showman. Some women became romantically involved with him, while others, such as Annie Oakley, found the relationship strictly business. Nevertheless, Louisa harbored a burning jealously of her husband. This did not improve when she made a surprise visit to a hotel where he stayed while on tour, and discovered “Mr. And Mrs. William Cody” were registered there. Louisa’s threats reverberated for many years thereafter. As news filtered back to Louisa about William’s affairs, including one of long standing with a beautiful blonde actress named Katherine Clemmons, the wife burned with resentment. It was later told by servants that Louisa tried to poison William on more than one occasion by serving him a tea concoction that made him violently ill.
Cody eventually applied for a divorce, but Louisa fought the legal action and the judge ruled in her favor. There was not enough evidence to prove attempted murder. In time the two reconciled, and remained together until death did they part. Buffalo Bill Cody passed away due to heart failure January 10, 1817 and was buried in Colorado on Lookout Mountain. Thus ended the career of probably the most famous wild west showman of all time. He met presidents as well as kings and queens, Indian chiefs and lady sharpshooters. He had millions of adoring fans. A more flamboyant character is hard to imagine. 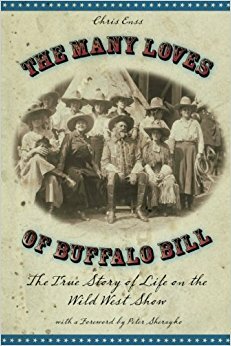 This little book is a first step toward uncovering the personal life of Buffalo Bill Cody. It is fast-paced and fun to read. You can join the fun by grabbing this book HERE.